Character encounters, tons of rides, parades, healthy kid’s meals and a Baby Care center- Disneyland with preschoolers is unforgettable! We just returned from a fantastic first time visit to Disneyland for Halloween Time with our preschooler! Our whole family was invited by Disney to experience Disneyland and California Adventure, and since Disney has added tons of fun just for the little ones, we had the best time ever! 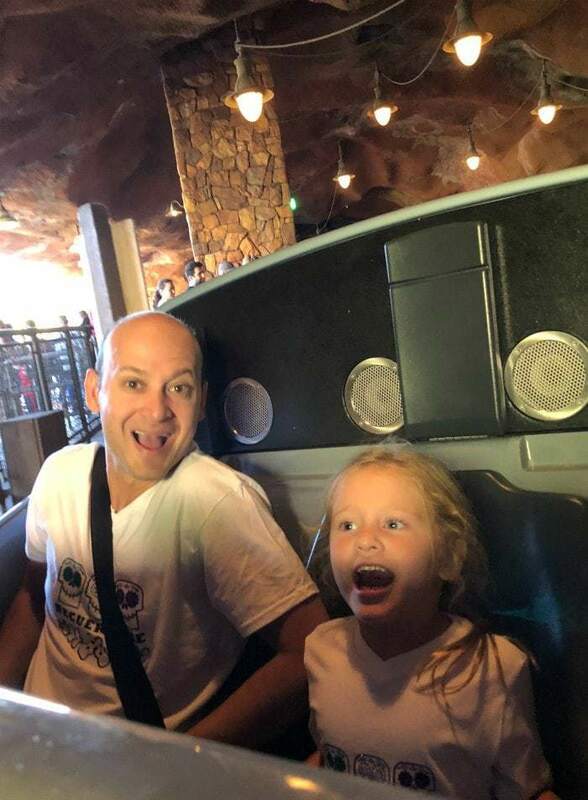 I was definitely nervous about a Disneyland trip for our girls, aged 3 and 5. They both still nap, get overstimulated, and my younger one gets scared fairly easily. Disneyland seems like such a big place with so much to see and do that I thought the kids would be overwhelmed and the adults wouldn’t get to do anything “fun” (ie rollercoasters). 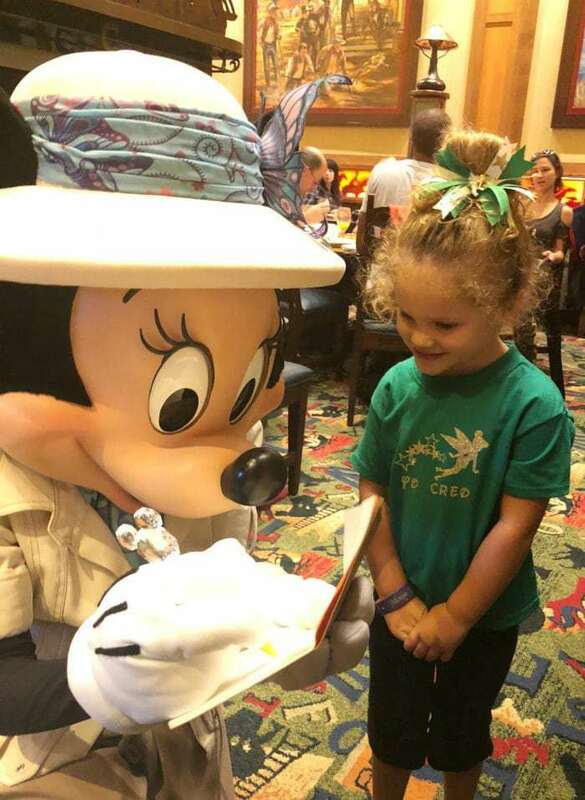 Not the case- here’s what we learned about Disneyland with preschoolers. There were at least 26 rides between California Adventure and Disneyland that are geared towards young children. We loved. We rode Ariel’s Undersea Adventure two times without ever getting off during the Magic Hour at California Adventure, and waited in a super short line at Peter Pan’s Flight during the Magic Hour at Disneyland. We also loved Dumbo the Flying Elephant, “it’s a small world,”, the Jungle Cruise, the Mad Tea Party and The Many Adventures of Winnie the Pooh at Disneyland. At California Adventure we loved the Jumpin’ Jellyfish, Luigi’s Rollickin’ Roadsters, the Pixar Pal Around ferris wheel and the Toy Story Midway Mania. Beyond the “young child” themed rides, there are lots of thrill rides that kids 40″ and taller can ride. We conquered Splash Mountain, rode Cars Land twice, and fulfilled our need for speed on Big Thunder Mountain with both our girls. We experienced the Disney Junior Dance Party at California Adventure and it was the absolute coolest. Not only is it inside (air conditioning and benches for mom and dad for the win!!) but it’s also a super fun show full of dancing, singing and things falling from the sky. Disneyland for preschoolers at it’s finest! I thought Little Sister was going to fall over when Sofia the First came out- she was so excited she tried to charge the stage! We also saw Doc McStuffins, Simba and of course Mickey and Minnie. I highly highly highly recommend this show in Hollywood Land at California Adventure. Fantasmic is a night show on Tom Sawyer’s Island in Frontierland that happens at both 9:00 and 10:30 most nights in Disneyland. The pyrotechnics were super awesome, and so was the soundtrack. But- a good 5 minute reel of Disney “bad guys” that come out, culminating in a big dragon and pirates coming around on the pirate ship- complete with cannons going off unexpectedly. Luckily, the show ends with many of Disney’s beloved characters making a round on Mark Twain’s Riverboat- but Little Sister, who’s three, really did not like the show. I think it was the late night combined with the loud sounds, but she wasn’t too keen. You can find more information on Fantasmic here, but I would not recommend it as part of the Disneyland with preschoolers experience. Paint the Night Parade at California Adventure was one of the highlights of our trip. I mean- it opens with Tinker Bell flying over the crowd to get everyone excited, and ends with Mickey! In between we saw tons of our favorite Disney characters lit up with thousands of lights. The girls loved seeing the semi from Cars and Baby Jack Jack peeking his head out of his float, and the soundtrack was phenomenal too. 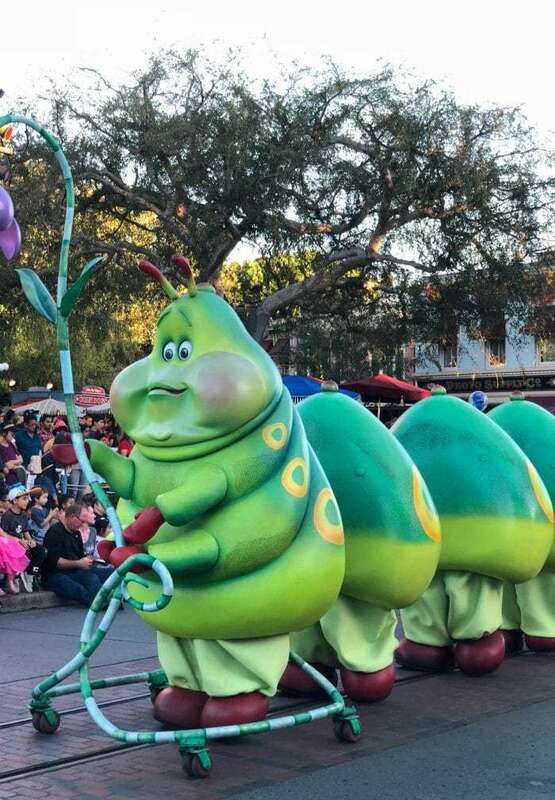 This parade starts at 7:45 pm, and is the perfect time for preschoolers to wind down and head back to the hotel for bedtime. I think this was our favorite night activity! We also happened to catch Pixar’s Play Parade just as we entered the park for the first time and we loved it! There’s a great soundtrack, plus all of your favorite Pixar pals- including the Incredibles. My girls also loved Mr. Potato head wearing a candy necklace! Prepare to get wet as some of the favorite characters squirt you as they go by. This parade is pure fun! We met so many of our favorite characters on this trip, which was just magical. 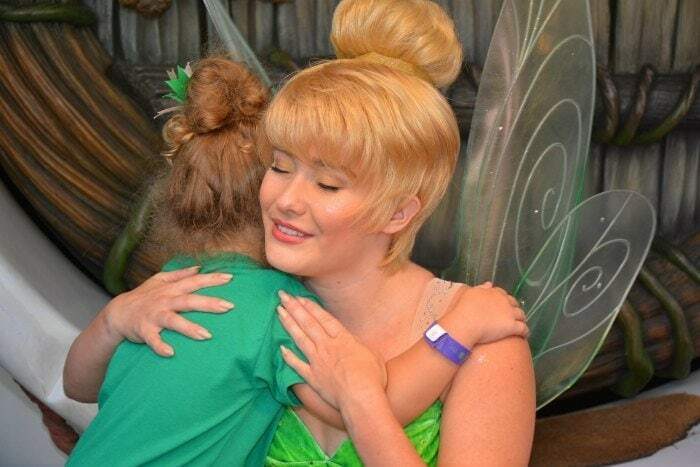 Armed with an autograph book and our camera, we made a beeline for Pixie hollow, where Tinker Bell hangs out. It was the best experience! It’s easy to find the characters around the park using the Disneyland app, which is what we did. 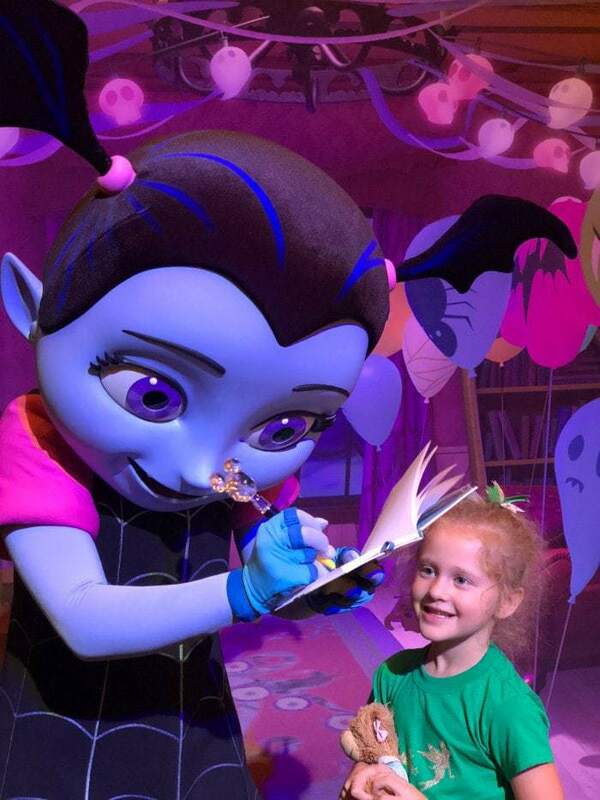 We also met Anna and Elsa in their castle, and Vampirina- she’s a new addition to California Adventure! 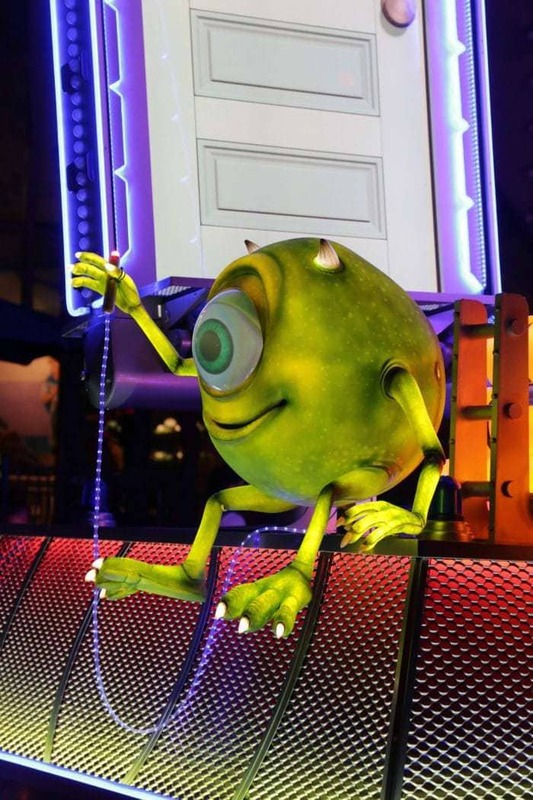 I highly recommend the character dining experience as well,. We did Mickey’s Tales of Adventure at the Grand Californian, where we met Mickey and Minnie, Pluto and Chip and Dale in an intimate setting. The food was delicious and the breakfast was a relaxed and cozy setting to get to know the characters a bit more. The girls even got to march in a “Zippity Doo Dah” parade as part of the character dining experience. Highly recommend. 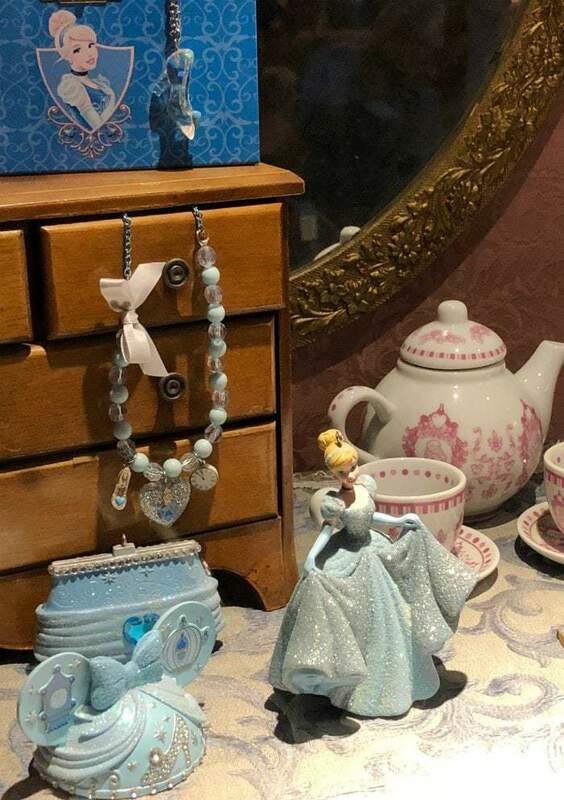 There’s also a Bibbidi Bobbidi Boutique in Disneyland where littles can get the royal transformation treatment- hairstyles, outfit and then photo packages. Located in Fantasyland. 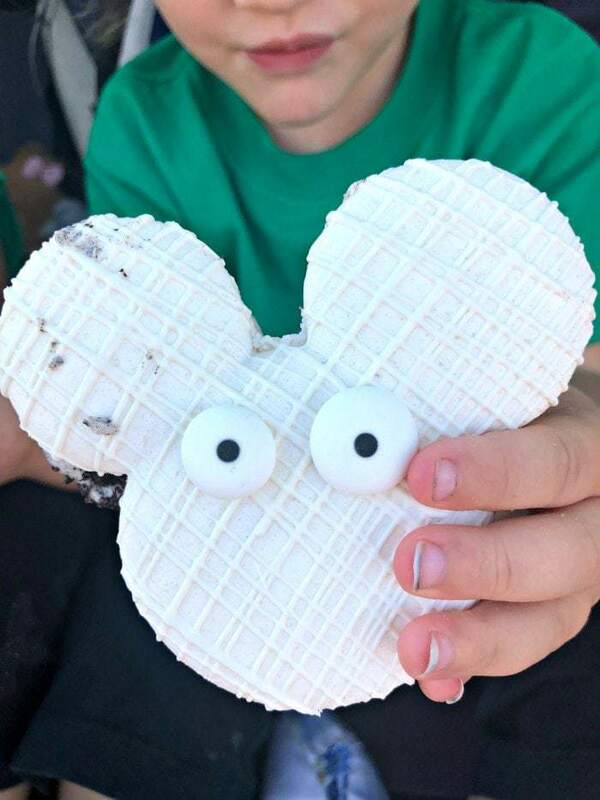 I was thrilled with the kids’ meal options at Disneyland. Thrilled. 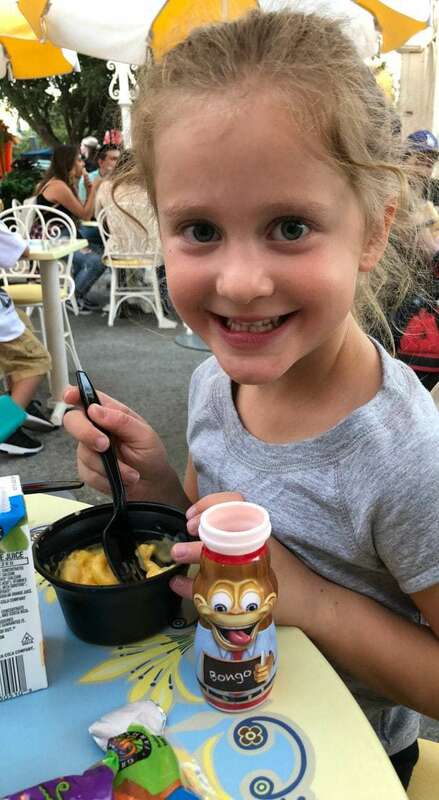 There are tons of great food options for every palate, and almost all the kid’s meals come with a Disney Check, which means the meal is nutritious and balanced. Little Sister LOVES turkey sandwiches, and her meal came with whole wheat bread shaped as a goldfish, plus a juice box, yogurt and baby carrots. Kudos to Disney on healthy eating for the kids! We also loved finding fresh fruit sold around the park, even boxes of mango which is our favorite fruit! I loved letting the girls choose a couple of special treats too- the popcorn and cotton candy were huge hits, and Big Sister is now churro obsessed. The Baby Care Center is the ultimate resource for families- and I had no idea it existed. 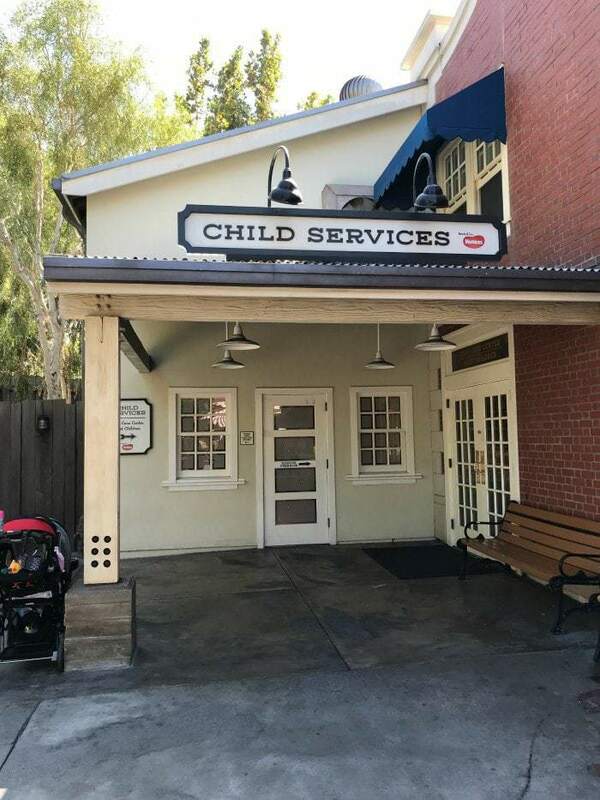 Located in both California Adventure and Disneyland, the Baby Care Center offers a fully staffed area for families. They sell diapers, pacifiers, baby food, bottles, formula and even sunscreen from a vending machine which would gives peace of mind in case you are afraid you will forget something. The Baby Care Center also has highchairs and comfy chairs for parents who need to feed overstimulated or distracted eaters, a nursing area, and a pumping area. They will even store your pump!! This is such a great resource for families! There is also stroller rental at Disneyland if you aren’t interested in hauling a stroller around your hotel and the airport, and there are lots of lockers for storage in each park. We had the best experience with Disney Max Pass- as it allowed us to access the Fast Pass through our Disneyland app. We could reserve a spot on popular rides right through our phone. I also learned about Rider Switch on this visit- where one parent can ride the ride and the other can stay with the kids. 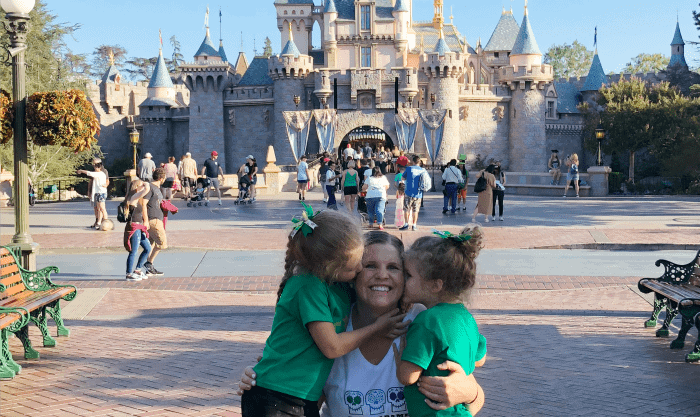 Overall, I adored our visit to Disneyland with preschoolers, and we can’t wait to go back and experience the magic with them while they are small. 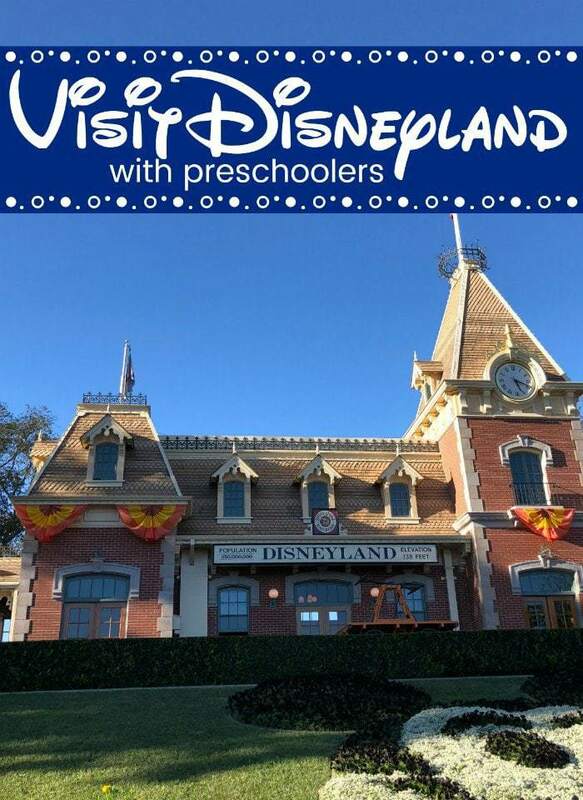 Are you considering Disneyland with preschoolers?